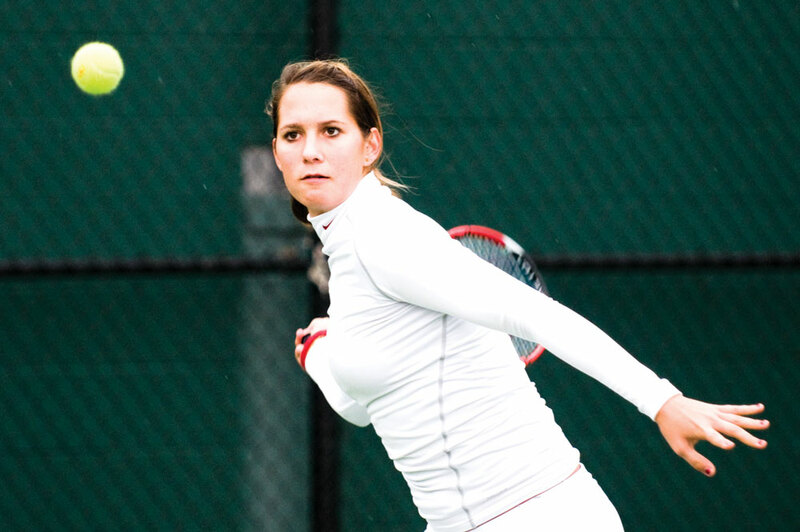 Find out where the top tennis stars honed their skills before going pro. The name tennis comes from the old french word "tenez" which means "take" or "recieve". Depending on your personal interests, you may be looking for a college that’s more than just academically and socially right for you; you may need a good athletic fit, too. Consider one of theses four schools if you’d like to play tennis in college -- they’re known for turning collegiate players into serious pros. These schools are known for turning collegiate players into pros. John Isner played tennis at University of Georgia for four years; in his junior year, he started to consider going pro after graduating. While in college, he had the most singles and doubles wins in the history of the school. We can see why the program worked so well for him -- the men’s team is currently ranked number three in the country, and the school’s Dan Magill Tennis Complex has 16 courts and a seating capacity of more than 5,000 people, making it one of the largest and most impressive facilities in the U.S. In 2010, Isner played the longest tennis match in professional history. In total, the match lasted eleven hours and five minutes. Michael Russell finished at number seven in the collegiate tennis rankings before graduating from University of Miami and going pro. We give him serious kudos for taking both athletics and academics seriously -- Russell got his bachelor’s degree in business administration in 2012. We’re guessing he enjoyed the school’s award-winning 16-court Neil Schiff Tennis Center while he was still an undergrad. The NCAA named Russell the "rookie of the year" in 1997. Tennis pro Bradley Klahn says he chose Stanford University for its “combination of academics and athletics,” and we can see why -- it was named the fifth best university in the country by U.S. News and World Report, and the school has won the NCAA Director’s Cup, which honors the most successful athletic program in the division, 18 years in a row. Pro players Nicole Gibbs and Mallory Burdette, who would have been a senior in 2012 had she not gone pro, also attended and competed at Stanford. Nicole Gibbs was the third player in NCAA history to capture the All-American title in both singles and doubles. University of Southern California is known for having highly ranked tennis teams and highly ranked tennis players, so we can see why both Maria Sanchez and Steve Johnson attended the school before turning pro. As enthusiasts of this outdoor sport, we’re guessing they appreciated the year-round warmth in sunny Los Angeles, too. Interested in the USC tennis program? You can follow both the men’s team and women’s team on Twitter. Maria Sanchez was the No. 1 collegiate player during the 2011-2012 season. It’s like we always say: if a school’s good enough for the professionals, it’s good enough for us amateurs, too!